A Chinese appliance brand, Haier claims to design stylish and innovative fridges at affordable prices. Whether you’re looking for a simple and compact design, or a fridge to suit a large household, Haier could have an option for you. Read on for the specs and features of Haier fridges in this Canstar Blue review. What fridges does Haier offer? What you will find across a number of Haier fridges is a reversible door, allowing you to change the way the door swings open and full width clear plastic spill proof shelves. In Australia and New Zealand, Haier fridges are backed by a two year warranty. It boasts four-star energy efficiency and consumes 335 kWh annually, which could result in electricity costs of around $97 a year, according to the energy rating calculator. Its recommended retail price is $1,049, so it may be a worth investment to consider, giving its high star rating. It’s equipped with 6 door shelves and 2 adjustable glass shelves as well as an egg tray, easy access shallow top freezer drawer, double twist ice tray with storage tray and frost free freezer. This model has a 3 star energy rating with an energy use of 477 Kwh, amounting to about $138 of energy per year. If you’re after additional functionality, you may like to consider Haier’s 440L (HMD440X) fridge. It features an automatic ice maker and LED display with a child lock feature. 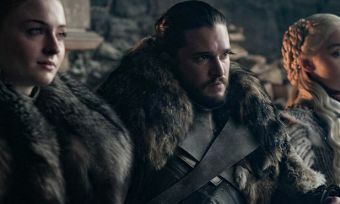 It also has a Fuzzy Logic program that is claimed to determine optimum temperature and a multi-directional air flow system to ensure even cooling. It has an additional holiday mode for when you go away and is claimed to be an Eco Friendly R600a Refrigerant. With all these extras, you can expect to pay over $2,000 for this model. 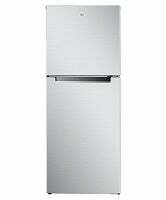 This model is claimed to be Eco Friendly R600a refrigerator, similarly to the above French door fridge. It is equipped with a humidity controlled Vege bin, easy slide out fruit and vegetable bin and door alarm. Unfortunately it has a fairly low energy star rating of 2 stars, which could use about $121 of energy per year. However, it certainly does provide a large amount of space, being stated as the true family fridge. These two fridges are equipped with reversible doors and come with a 3 star energy rating. For a top mount fridge with a few extra features, Haier produces the 442L (HRF422TW1) model with 281 fridge capacity and 141 freezer capacity. It features a frost free freezer, multi directional air flow system, humidity controlled crisper and door shelves with a dairy cover. Similarly to the model above, it has a 3 star energy rating and uses 419 Kwh, which can cost about $121 a year in electricity costs. 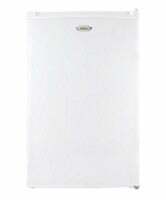 It is claimed to be an Eco Friendly R600a Refrigerator with a 3.5 energy star rating. It uses 204Kwh, which could cost around $59 a year in electricity bills. If you are after an additional fridge to entertain, you may opt for the Haier Bar fridge range. 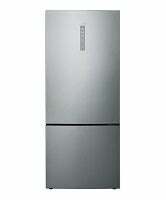 The HRZ-60 is 69L capacity fridge that has a 1.5 star energy rating. With 234 Kwh of energy consumption, it could cost you about $67 a year to run. It features an adjustable thermostat as well as a reversible door. Without any extra features, you can expect to pay just over $200 for this compact fridge. Is a Haier Fridge worth the money? 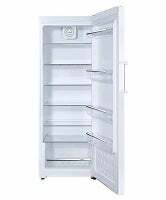 Haier has a large range of fridges in the mid-price category with the French door style fridges coming in on the highest side of the spectrum. You can expect to pay around $2,000 for those beauties. 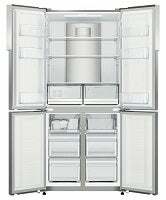 The top mount and bottom mount fridges sit around $500 to $800, giving a number of options to suit your home and budget. With a low-end price tag you shouldn’t expect too much additional functionality but you may find a number of Haier fridges that rate high on the energy star ratings such as the HBM450SA1 450L bottom mount fridge receiving 4 stars. While it boasts a new series ‘James’ named after the fridge pioneer, James Harrison, overall Haier doesn’t jam-pack its fridges with a lot of features as it has a large focus on price. If you’re after a simple design that gets the job done by keeping your beverages cool during summer, then Haier may have a fridge for you. To see how other Aussies compared a number of fridge brands, check out our online ratings via the link below. What do customers think about Haier Refrigerators? In 2017, Australian customers gave Haier 4 out of 5 stars for Overall Customer Satisfaction for Refrigerators.